Over the course of more than six decades as an author, journalist, and professor, Max Lerner studied and assessed many presidents, yet Thomas Jefferson received his most sustained attention. To Lerner, Jefferson came closest in the American context to Plato's "philosopher-king," the ideal thinker and leader. Because of his keen sense of Jefferson's virtues and his unique place in United States history, Lerner began work on a book about Jefferson in 1957, rewriting it several times throughout his life, always with the intention of introducing general readers to "a thinker and public figure of enduring pertinence." In this volume, Lerner uses the facts of Jefferson's life and work as the springboard to insightful analysis and informed assessment. 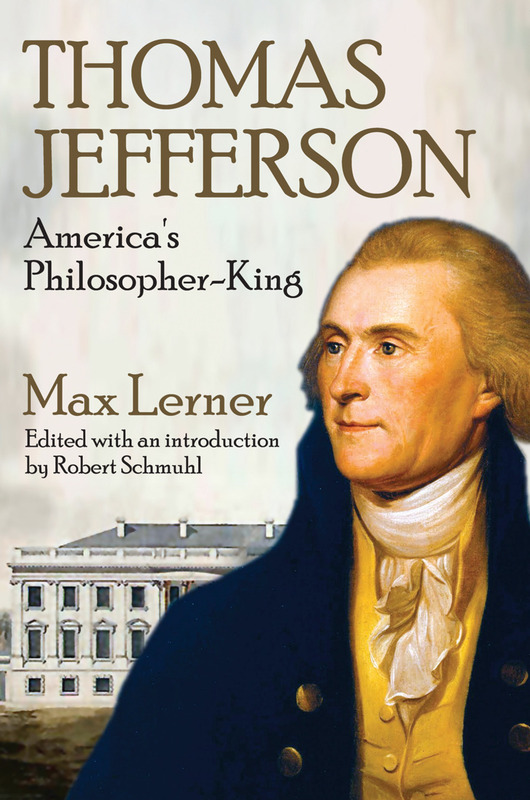 In considering Jefferson, Lerner combines biographical information, historical background, and analytical commentary. The result is a biographical-interpretive volume, a primer about Jefferson that not only describes his accomplishments, but discusses his problems and failures. As political figures have declined in esteem in recent decades, the media has probed deeper into previously private lives. Historians, biographers, and others have revealed personal details about deceased prominent figures. Two centuries after he helped create America, Jefferson remains a figure of enduring fascination within academic circles and beyond. Max Lerner helps explain and clarify not only this unending fascination, but the timeless relevance of the nation's devoutly democratic yet singularly authentic "philosopher-king."